Thickness 0.8mm up to 12mm Width 800mm Length: Nominal. The tolerances are dependent on the steel grade and hardness of the material. 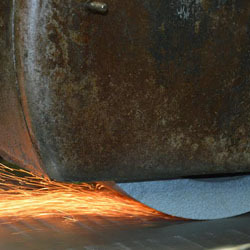 Our in-house grinding facilities are able to precision grind to a tolerance of 0.025mm, tighter tolerances may be achievable upon request. Our maximum machine size is 525mm x 3000mm. All items will be de-burred, rust protection applied where necessary and packaged suitably.